Visit and be inspired by beautiful ornaments made with Tsumami crafts made by OHARIBAKO. Tsumami craft is a traditional technique of shaping small squared fabrics into beautiful ornaments. Traditionally designed with motifs such as flowers and symbolic animals, the Tsumami crafts are combined together to draw out that person’s beauty through hair decoration. 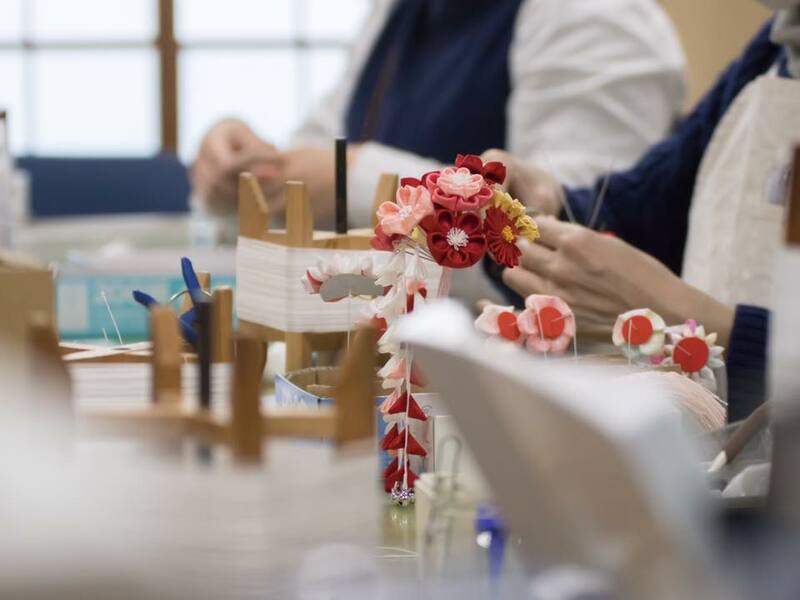 OHARIBAKO was founded 70 years ago in Nishijin, Kyoto as a yarn seller and has evolved itself into a Tsumami craft. At Design Week Kyoto, you can visit and see how Tsumami ornaments are made.